I've never been to Bulgaria but I know it's 1 of the cheaper places to ski. Please can anyone who's been pls advise me on what's it's like? Is it cheap to eat and drink out as we may go self catering or is it best to stick to half board? Is it safe on a evening walking around the town of your resort? Which is the best Resort, for both skiing and in an evening and is there plenty to look at in a night after skiing is done. We generally like a wonder round the ships etc and get a beer or 3. Sorry for the long post but I've no idea what it's like. Skimmed plastering & Decorating. Contact me for a quote! 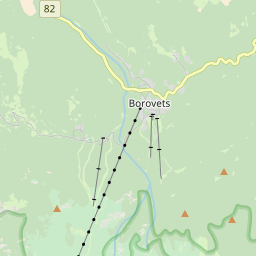 I have only been to Borovets a couple of times and the last time was about 5 years ago so my recollections are a bit dated ...first of all dont go late in the season as it is low lying and gets slushy..end January should be ok If you go to a GOOD hotel half board is OK but there are a load of restaurants which where all good value. 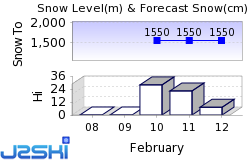 The skiing is OK for intermediates for a week at the most and if some of the longer runs are out of action ,,its a bit sparse. as to safety I had no problems at all..as to what's to look at ...not much..
We went to bansko a few years back when we were beginners and even then I felt I'd. Run out of interest with the resort in terms of skiing. It's not the biggest. If your more than intermediate then maybe look at Andorra as a cheaper option. Also as daved said, go early. We went in Feb and when the sun came out it became a waterfall literally. It all settled at the bottom lift station and froze into an ice rink. Lol. Not much to look at either but no danger that we could see walking about. Safe to say, I'd not return there. For a cheap holiday why don't you just do air B&B and or B&B + budget airline? If you go off peak i.e. 2nd week of Jan you can get 60euro a night with either of those options. Umm, dont quite know why you think Adorra is low. Grandvalira is Andorra's biggest ski region and incorporates the resorts of Soldeu el Tarter, Pas de la Casa/Grau Roig, Encamp and Canillo. The area offers 210km of slopes between 1,710-2,640m. 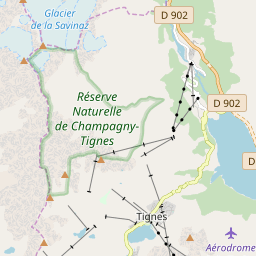 That equates well with most of the Alps especially if you consider places like Tignes (1,440–3,747 m) which is considered to be one of the highest. I like Bansko. Not particularly big but reasonable lifts once you get up to the top. You can ski back to the town at the end of the day although it gets quite flat near the bottom. Everything is cheap. Keep an eye on you valuables at the restaurants though. Bansko really is a great resort. We've had a catered chalet here for the last 16 years and still love it. Our snow record is just as good as other resorts, some seasons we have been fully open when a lot of the alpine resorts were scratching for snow. Whether you should go for self catered, B&B, full board or catered really does depend on your budget and what you would expect from each.There are lots of self catered apartments available but choosing the right one in the right location is a bit of lottery. You would need to then find your own way to the gondola each day, in the wrong location it is a 30 minute walk! There are a couple of tour operators that come in to Bansko but they pull out mid March, which is a real shame because our season usually lasts well in to April. March tends to be a really snowy month for us! Although cheap they use larger hotels which serve notoriously substandard food. We've had guests that have migrated from tour operators to us because although their hotels were really poor food wise, they love the town and the slopes. A lot of these people come back year after year. Bansko is a proper town rather than a purpose built resort and has lots of charm and character. In the evenings it's great to have a wander around and get a real feel about it.